What do you have in the foyer of your apartment building? Is it a minimalist corridor with a concrete ottoman and aluminium mirrored surfaces? Or a cosy lobby with a fabric covered couch and ceiling-high pot plant that may or may not be real? Well, if you buy into one of the latest high end apartment developments in Sydney you could well find yourself thinking you’ve been transported through a time portal to 1930s New York City. 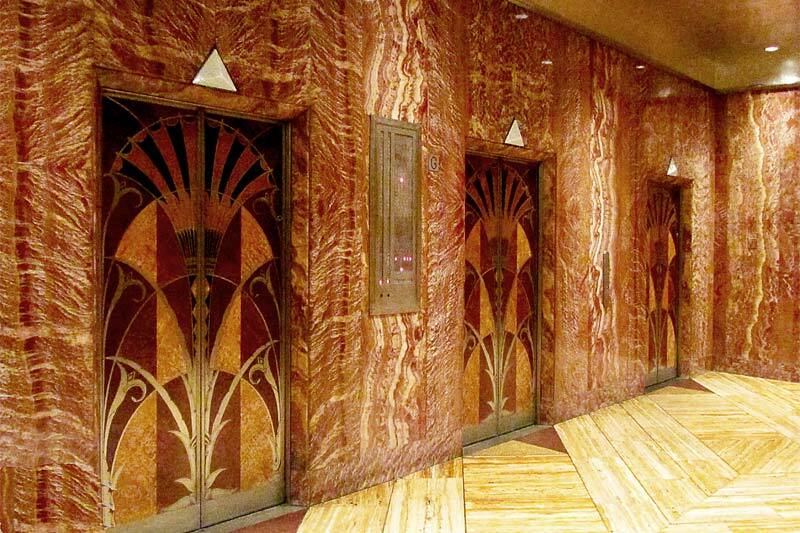 Australian architects are taking their inspiration from Manhattan (although not the glitzy Trump corporate version) to design art deco foyers. 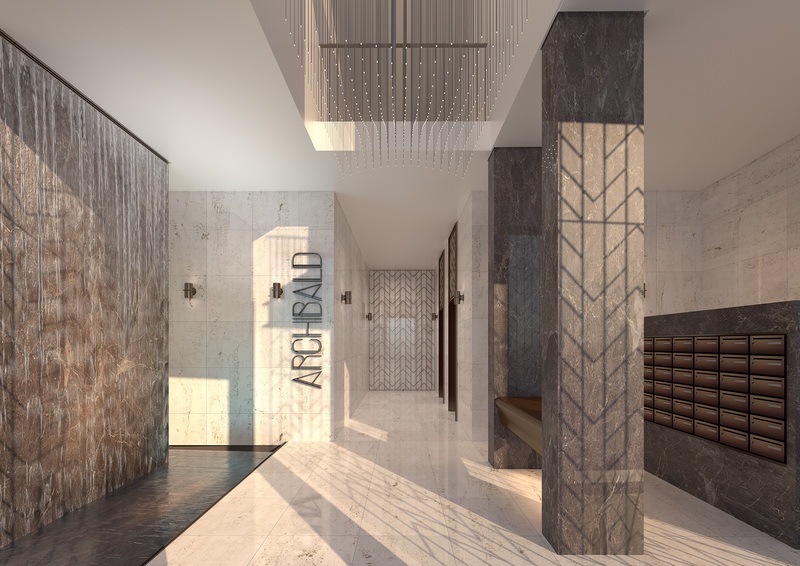 “New York has typically set the benchmark, with hotel and apartment foyers acting as an extension of the building where people can gather and socialise with friends,” said Nelson Dueza, Director of Residential at Colliers International. One recently completed complex is 88 Alfred Street in Milsons Point, a premiere apartment development by Cbus Property, with one apartment coming back on the market through Colliers International. Designed by architecture and interior design firm Bates Smart, the foyer of this high-end development was created to infuse a sense of glamour into the building right from the front door. “We drew our inspiration from the grand bronze gates that are often present in historic New York hotels,” said Guy Lake, Director at Bates Smart. Designed by renowned architect Harry Seidler and Associates, The Cove building has 45 levels and a stunning lobby with illuminated Onyx walls, a stone clad podium below designed to accommodate a health club, meeting rooms and a 25m suspended swimming pool. The Cove enjoys a perfect location, just minutes from the heart of the CBD. Observatory Tower’s impressive foyer provides a warm, elegant welcome. 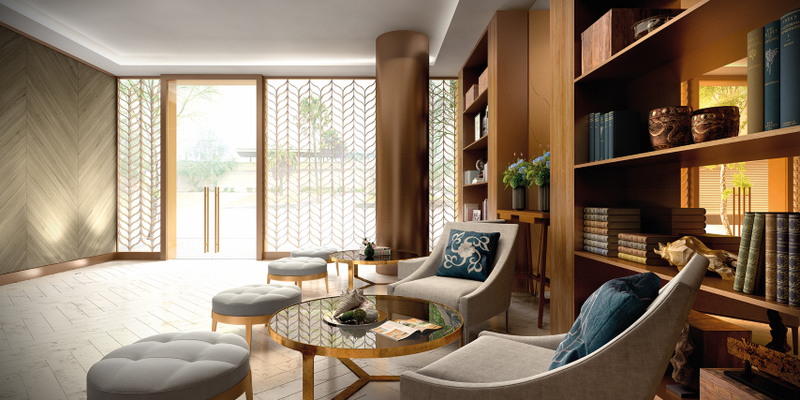 Created by award-winning international interior designer Thomas Hamel, the foyer features rich furnishings and fabrics, a stunning parquetry floor and a 24-hour concierge desk with staff ready to assist with enquiries. 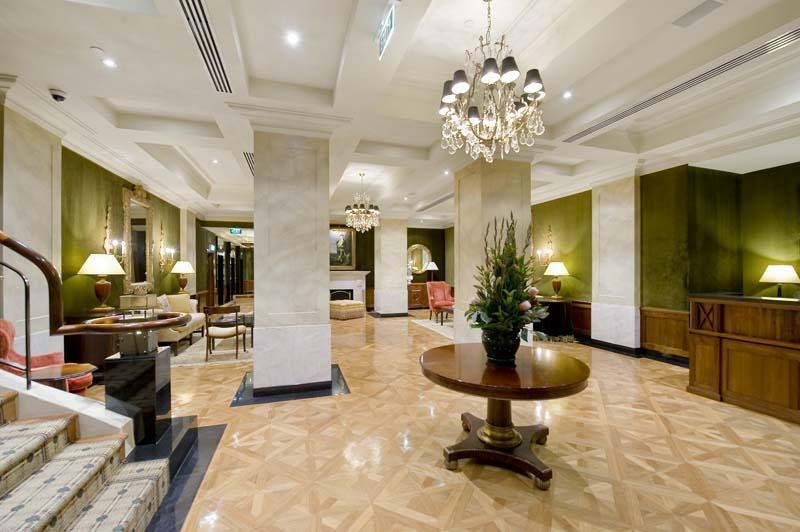 Bondi Archibald’s soaring entrance foyer adds an element of grand elegance to the experience of arrival and departure. 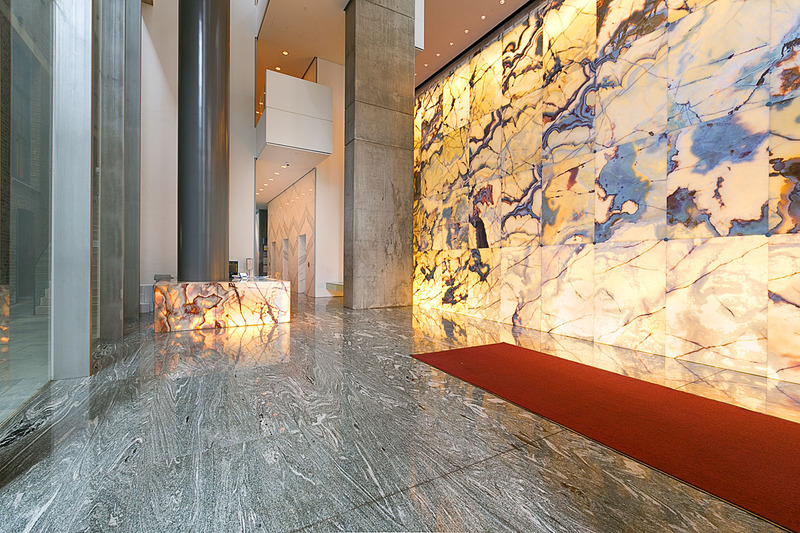 Clad in striking stone and enlivened by the reflection and ripple of water, the lobby creates an uplifting portal, with diaphanous designer lighting heightening the welcoming mood and ambience.